Rocklin has been one of the fastest growing cities in California. The City’s population grew 64% from 2000-2014 with a current population of approximately 60,000. 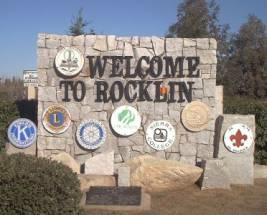 In August 2008, Family Circle magazine named Rocklin one of the “10 Best Towns” for families in America (it was the only California city on the list). The City's strongest assets are its residents, and citizen input and participation set Rocklin apart. We are proud of Rocklin's rich heritage and excited about its future. Thanks to residents, businesses and community leaders working together, we can ensure a bright future. The City of Rocklin's mission is to become a city that provides its citizens with exceptional quality of life while maintaining its small town sense of community.